Citizen participation is widely viewed as a key component in the planning process, and, for the most part, planners accept the notion that participation is important to producing enduring plans. Almost, all people agree that public participation is good but to what extent and how we can ensure that the participation taking place should be in good faith of the people and this very responsibility lies on the shoulders of a competent planner. Participation mandates created and proposed by a competent planner and policy maker do affect local government attention to citizen involvement. Administrators need guidance for crafting citizen involvement requirements that will result in broad public participation in planning. Over time, the planners also stressed the need for better representation of the interests of disadvantaged and powerless groups in governmental decision making. As stated by Diane Day (1997) collective decisions are more easily accepted by the individuals, and a sense of belonging in the community will be fostered. Burke (1968) asserts that citizen participants are sources of information and collective wisdom, the probability of public interests being served is achieved through public participation. “The act of participation is held to be a form of citizen training, in which citizens working together to solve community problems not only learn how democracy works but also learn to value and appreciate cooperation as a problem solving methods” (Burke, 1968). “It is much easier to change the behaviour of individuals when they are members of a group than to change any one of them separately. Secondly, individuals and groups resist decisions which are imposed upon them. They are more likely to support a decision and, equally important, more likely to assist in carrying it out if they have had a part in discovering the need for change and if they share in decision making process” (Burke, 1968). Thus, public participation can act as a behavioral change mechanism for inclusion of public in decision making. Public participation can be an effective tool in supplementing the workforce in plan making and plan implementation process. There are many experts in an area and their knowledge and energy can be tapped efficiently if public involvement is carried out rationally and judiciously. Cooption as a technique in public participation will help in harnessing the existing citizen groups for sanctioning the planning goals and objectives through absorbing new element or potential obstructions in decision making process. It can be seen that many strategy for public participation can be tried to ensure effective and increased participation. There might be a need for adapting the various prevalent strategies according to the demand of the situation or the working environment. It can enhance the quality of planning by creating processes that are more democratic and equitable. The poor often have little, if any, voice in government decisions. Consultation and dialogue between local government and interest groups representing the poor can give the latter more voice and influence over decisions. Participatory planning encourages the poor to be more responsible for, involved in and aware of their role in local governance. It can help reduce potential conflict and build local people’s feeling of ownership in the government’s plan. Participatory planning can result in programmes that are better and more efficient. By consulting the poor and giving voice to their concerns and needs, the resulting actions are more likely to be relevant and appropriate to the conditions they face. For instance, simply consulting people about their daily schedules can help government provide services at times when people are likely to make best use of them. Participatory planning can increase the transparency of governmental decision making. This allows citizens to understand how and why the local government is making certain decisions. It is also a way of holding government members accountable for what they planned to do. It can improve mutual understanding and trust between the poor and local government. User involvement raises awareness and is particularly important to enable an “informed choice”, and for the proper operation of on-site systems, as neglecting their needs and preferences can result in the non-use of the system with users reverting to open defecation. Working with a participatory planning approach improves motivation, learning and self-realization, feelings of ownership and self-esteem, and the possibility that the identified problems and solutions will truly reflect the felt needs of the stakeholders. Citizens can be used as instrument for the attainment of specific end of development and in other we can say that public participation can be an strategy for mobilizing the government in framing or sanctioning development projects. Sometimes, public participation can be used as instrument for stability, educational tool for changing and modulating attitude, supplementing staff, cooperation for development. After having gone through the various benefits and the rationale for enhanced public participation in planning process, it will be wise to study some of the negative aspects of the participatory planning process from the next section. This is one the platform where you will get new article daily on topics related to planning, management and development discourse. The increasing incidences of the wrong doings of the military in border states and the level of dissatisfaction among the local residents should not be neglected. Time has come when we must think over the Armed Forces Special Powers Act and the working of the court martial which seems to be like convicts getting trial by themselves. There must be independent trial body or special wing in the state High Courts to deal with those who misuse the power and privileges given by Indian Government. Need for inducting local youths in regular army after training can be a good option as they have their own affinity with the local people and the local people will trust them more than other army personnel who have no good image than terrorist in the border states. We are proud of our army but this does not mean we should allow to happen what has been happening in the name of peace and security. A great question arise whether local people are safer with army or not. This a collection of poetry written on the current social and political issues of the globe. 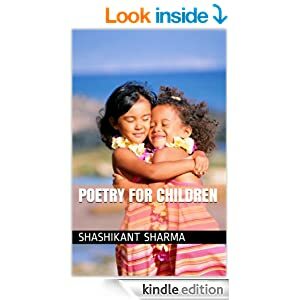 The passionate writing is quite visible in this collection of the poems. The Poet has written on various topics which he encountered directly or indirectly. Today I am going to share with you some tips regarding how to engage your readers for being effective author. The effective engagement of readers aids to the selling of your published book and frequent visit by them on your website or blog. Keep your readers updated with your books and other contribution through the email, blog posts, facebook and twitter. Respond to any query of the readers and try to engage them in healthy discussion like asking them to write review on the books published on amazon and other online distribution channels. This will help you in creating a larger base of your readers spread across the globe. Prefer email in discussion if the the reader wish to keep his conversation private. Update your social networks at least once in a week and don’t forget to respond to the comments made by the readers. You will start having more success with book sales when you start thinking like a reader instead of a sales person. Keep the list of the published books listed on your website or blog so that readers can easily find your new updates and they can have an easy access to your books. Thinking like readers make you feel the real need of the readers. It will also help you in avoiding the unnecessary updates and blog posts about your books. Avoid the habit of making repeated posts on social networking sites like FaceBook, it creates a bad impression. Book writing is a comprehensive and time consuming task and it becomes desirable to gain from the book publication and to make gain you must ensure that the book reaches to the maximum number of readers in an effective manner. To ease out the process of book promotion and book launch, here we will discuss some of the time tested tips and tricks which you must utilize while resorting to book launch or book promotion. First of all, you have to plan you budget for the book promotion strategies like online distribution, making available on multiple channels or bringing it to the book selves of the retailers. The planning part of the book promotion plays an important role in ensuring the effectiveness and cost saving. Organise a book launch party at the place which can bring the potential readers on a common platform with the invitee of the party like your friends and promoters who helped you in various stages of the book publishing. Plan for the sample sale and discount offer to the buyers at the party. Most of the people will like to buy if they like the book. Some persons may buy it for their collection and many will buy as their friends are buying it. The location of the party will also decide the potential new buyers of your book. Spread the word of the event through various media like social networking sites, newsletters, website promotion and retail agents. A slide show or book trailer running on a laptop can capture the attention of browsers who will want to know more about your book. Prizes and giveaways. Who doesn’t like them? Having a drawing for a free book or a prize themed to your subject will be popular. And if you repeat your reading a couple of times, go ahead and have a couple of drawings to keep people interested. Gather addresses. Here’s my last tip, and it’s one of the most important. You want to stay in touch with people you spend time with at your launch party. Make sure you have a way to capture each attendee’s email address, whether it’s a sign-up sheet, a bowl for business cards, or a laptop or tablet where people can opt into your mailing list on the spot. Planning and executing a book launch or book promotion is quite a bit of work, but it can pay off. You’ll establish good relations with readers and media which will help you in long run. You’ll make sales and add to your future potential buyers list, too.